TORONTO, December 1, 2015 – Avanti Computer Systems Limited, a leading provider of Print MIS solutions, today announced its inclusion in DPS Magazine’s 4th Annual Top 30 Readers’ Choice Awards. Each year the publication’s dedicated readership dictates the top 30 winners and five honorable mentions. “Our readers continuously choose some of the most influential vendors within the digital print, packaging, and publishing space,” says Tom Tetreault, editor-in-chief/publisher, DPS Magazine. 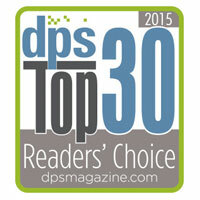 Go to dpsmagazine.com to subscribe and be among the first to see the 2015 Top 30 Readers’ Choice Awards winners. It is released in the November issue, as both a print and the digital publication.